Linda provides the on-the-ground support to WMDR’s clients. She relies on her extensive experience working in the healthcare arena and her own personal experience with gender equity to help women physician’s improve their careers and integrate work with life. Linda has spent almost 30 years in healthcare as a practicing pediatric ear, nose and throat surgeon, in private practice and as a tenured full professor in academic medicine. She has also served as a clinical service director, researcher, leader in quality improvement, educator, mentor, and trailblazer. Linda’s vast experience and the insights she has gained is at the center of her approach to working with women physicians who need clarity, want to build their confidence, and take control of their lives and careers. Linda is active at the leadership levels at the American Medical Women’s Association and the Section on Women in Otolaryngology at the AAO-HNS. She is a member of the Association of Women Surgeons, the International Medical Women’s Association, and the American Association of University Women. Linda is married to Saul Greenfield, MD, a pediatric urologist. Linda and Saul are the proud parents of three grown and very happy (and productive) children—Jeremy, Dana and Becca. 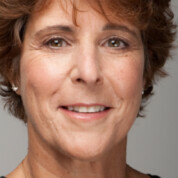 For more information about Linda, visit her personal website: www.lindabrodskymd.com.